Formerly known as RÜFÜS, the Australian three-piece comprised of members Tyrone Lindqvist, Jon George and James Hunt, RÜFÜS DU SOL occupy the intersection of entrancing indie music and intelligent electronica. It is through this seamless transcendence of styles that their own sonic realm has unfolded; a landscape painted with the club culture of yesteryear and a poignant yet infectious ability to be ever in the moment. RÜFÜS DU SOL returned in May with brand new single ‘No Place’ Built on a haunting and ethereal foundation, the track crescendos to capture the exhilaration of encountering a siren, a soulmate, a wondrous exposé of the emotive style they have become known for. ‘No Place’ marked the first new music from the trio in more than two years. 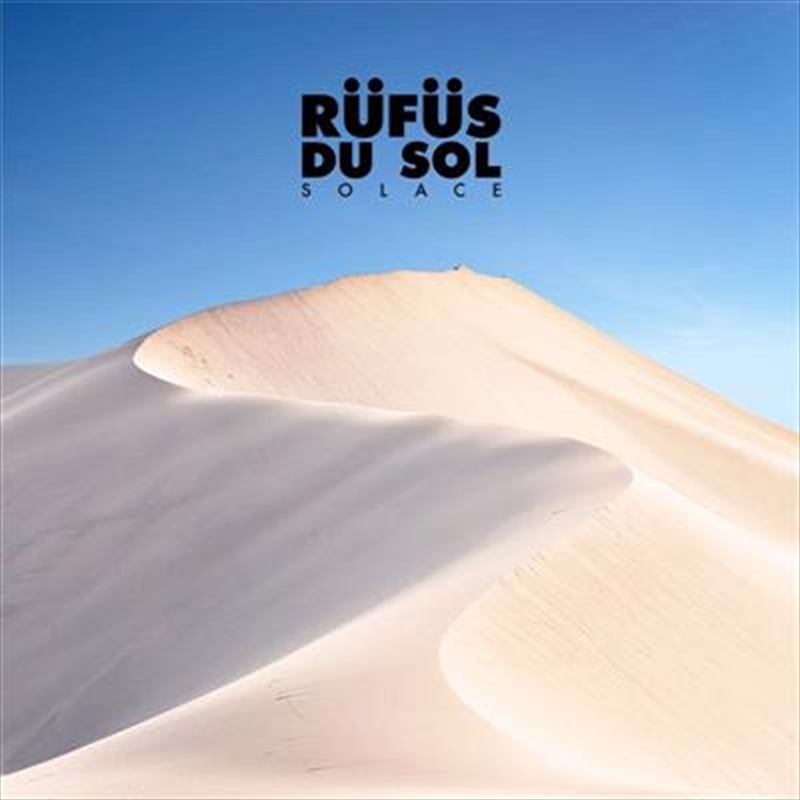 RÜFÜS DU SOL have since released follow up singles ‘Underwater’ and ‘Lost In My Mind’. In Australia, the band’s debut album ATLAS reached #1 on the ARIA Album Chart and reaped Platinum status – such success was repeated in 2016 with their follow-up record BLOOM, which saw the album claim top spot on the ARIA Album Chart and achieve Platinum certification. In Australia alone, the band’s catalogue has been streamed over 110 Million times – an incredible nod to RÜFÜS DU SOL’s unparalleled electronic talent and inimitable sound. BLOOM offered RÜFÜS DU SOL’s most iconic singles, ‘You Were Right’ and ‘Innerbloom’ and launched RÜFÜS DU SOL on a two-year international tour, playing over 100 sold-out shows across 13 countries, making them one of Australia’s most successful live-music exports globally. With the massive success of their second studio album ‘Bloom’, Sydney three piece Rufus Du Sol have returned with a bright collection of experimental electronic songs. ‘Solace’ hears them stepping further into the DIY world they flourished in previously but with a bit more of a polished layer. This short but sweet record has been ultimately made to be heard and experienced live with this collection having a real festival vibe to it. The beats are bigger, the drops are lower and the energy is higher. However when you do step into that high intensity dance realm you do begin to hear a couple of musical ideas reused and a bit of the album becomes a little predictable. But within the moments that they do impress, you will be dancing and singing loud and quickly prepared to buy tickets to their upcoming 2019 headlining tour. Album opener ‘Treat You Better’ is a moody track that builds from a mid-tempo structure and into this pulsating synth driven beat. From there the nightclub and festival moments start to drop with ‘Eyes’, ‘Lost In My Mind’, ‘No Place’ and ‘Underwater’ leading the way. But it’s the track ‘Another Life’ which delivers the albums most euphoric and perfect moment. This off-beat track just seems to capture a raw and real energy that is different to the rest of the record. Also, fans of old school Rufus Du Sol won’t be disappointed with the tracks ‘New Sky’ and ‘Solace’ that tap into their older influences. But overall this record is a bold new perspective from the band and hears them turning up the volume and preparing the party vibes for 2019.